In loving memory of our beloved sister and aunt. Flora Miller (Tottie) of Boulfruich died 7th July 1973. 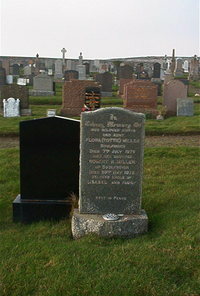 Brother Robert B Miller of Bulfruich died 23rd May 1978. Beloved uncle of Lisabel and family.